Combat those daytime slumps and feel reinvigorated with these quick and effective steps to an instant boost of energy that will last you the entire day. Using perfumes or shower gels with citrus, eucalyptus or mint helps you stay alert. “They send a surge of energy through your body, which clears the mind of clutter and gives you a quick lift,” explains aromatherapy educator and practitioner, Joyce West. “There are many myths about coffee, but it can actually be a great aid,” says dietician Helen Bond. It’s not a diuretic as is commonly believed, but counts towards your daily fluid intake (dehydration is the most common cause of fatigue) and is also proven to help performance. Research shows that 300mg of coffee (two or three cups) has a huge benefit on alertness and attention span for up to four hours after drinking. They’re not magic energy tablets, but a lack of vitamins can cause fatigue. 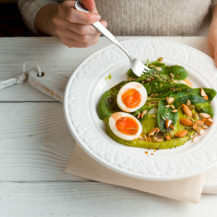 “B vitamins are particularly important, because they convert energy from food into energy your body can use,” says Helen. If you are not getting enough from your diet (if you’ve cut out carbs, for example), a combined vitamin B supplement can help. If you’re still tired, however, you might need your iron levels checked. “Low iron is the most common mineral deficiency and can leave you feeling exhausted,” adds Helen. 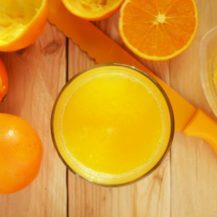 Eating more vitamin C will help you absorb more iron from your food. A good stretch not only increases blood flow to the brain, making us more alert, but it also irons out tension in the body. “A common problem is that hours spent hunched over laptops have shortened our chest muscles, which restricts our diaphragms,” says personal trainer Matt Roberts. A few simple chest stretches and shoulder rolls after a couple of hours at your desk will also raise levels of oxygen in the bloodstream to revive you. 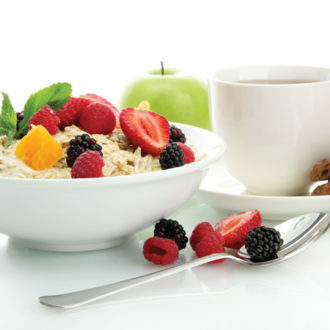 A healthy breakfast full of protein and complex carbohydrates, such as wholegrain toast and a boiled egg, or oats, will balance your blood sugar and stabilise your energy levels. A breakfast high in fat and sugar, such as a greasy fry-up or sugary cereal (avoid ones with over 5g per serving), or skipping breakfast altogether, will leave you feeling lethargic for the day ahead. 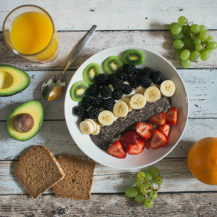 On the plus side, breakfast eaters are nearly always slimmer than breakfast skippers, and making no other conscious changes to your diet except for adding a bowl of high-fibre cereal in the morning can aid weight loss. To help yourself switch gear, turn on upbeat tunes. Music promotes so-called respiratory entrainment – meaning we pace our breaths to the beat (and oxygenate the brain in the process). “The mid-afternoon slump is a true physiological event,” says sleep research expert Prof. Jim Horne. “Our bodies are designed to have two sleeps – one long rest at night and one short one during the day, and so it’s normal to feel a dip after lunch.” According to research, we are most likely to run out of steam at 2.16pm. This is also around the time your cortisol level drops, and along with it possibly your mood, focus and motivation. Drinking iced water, say researchers at the University of Chicago, might help you stay awake by setting off tiny pain triggers. If you still find yourself yawning, don’t stifle it. According to Dr Andrew C. Gallup, an expert in ecology and evolutionary biology, it may help you stay alert by lowering brain temperature, which promotes mental efficiency. Doing things differently – for instance, driving a different route to work or using your left hand to brush your teeth instead of your right – can keep you on the ball. The brain responds to novel experiences by releasing a rush of neurotransmitters, such as dopamine, which make you more alert. If just picking an outfit to put on each day drains your energy in the morning, you’re not alone: a study led by the University of Minnesota showed facing multiple choices saps stamina and makes procrastinating more likely. Eliminate one morning stress, therefore, by streamlining your wardrobe. Make things doubly easy by deciding what you’re going to wear the night before. Whether you’re an early bird or a night owl makes a big difference to how you perform throughout the day. We hit our peak of productivity and alertness for about three or four hours, but when that is depends on our circadian rhythms (body clock). “It’s important you find out if you are a morning or an evening person, so you know when you tick best and can figure out some core functioning hours that work for you,” says Dr D’Felice.